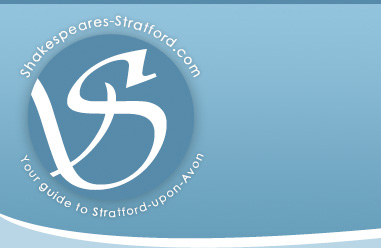 A number of local organisations have been helped by grants handed out by Stratford Town Trust in the second round of payouts for 2009. More than £170,000 has been allocated to thirty community groups, where the priority has been to support projects improving the quality of life for local people. Among those benefitting from the awards are the Stratford Stroke Support Group, who receives £2,500 to help fund their fortnightly meetings and Forum for sufferers and their families and friends. A helpful £10,000 has gone to the Stratford Mediation Service, an organisation which helps local people resolve disputes. It also demonstrates to school children how to manage conflicts in a non-violent or abusive way. The largest payout is given to the RSC; a £50,000 second instalment for the Transformation Project, the progress of which we can all see for ourselves as we pass by the ongoing work on Waterside. Smaller grants include £1,500 to the 1st Annual Falstaff International Film Festival and £500 for Stratford-upon-Avon Cycling which encourages leisure, pleasure and utility cycling. For a full list of recipients, please click here. Has your organisation had an injection of funds from the Town Trust? If so, please let us know what the grant will be used for and how people can get involved. We’re waiting to hear from you….